Mission: Deliver exceptional value to the caster and wheel market through standards development, educational materials and market intelligence. 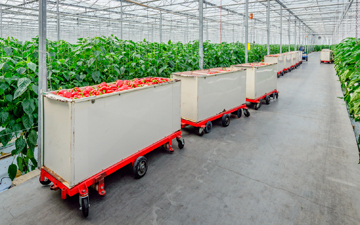 Vision: Connecting the right casters and wheels to the right application. 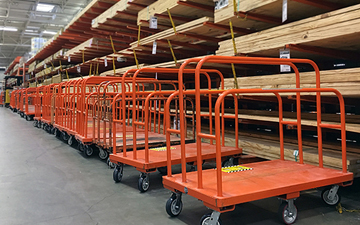 Standards Institute (ANSI) Canvass method and approved by ANSI on June 11, 2018, represents suggested design practices and operational requirements for Casters and Wheels. 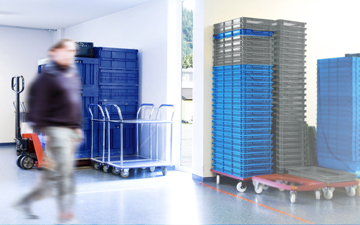 It was developed by MHI, along with the Institute of Caster and Wheel Manufacturers (“ICWM”), one of its Industry Groups, and is intended to provide useful information and guidance for owners, users, designers, purchasers and/or specifiers of material handling equipment or systems. The Material Handling Education Foundation, Inc. has awarded the $1,500 ICWM Lee Wood Scholarship to Jacob Moret at Iowa State University. Jacob is a rising junior majoring in Supply Chain Management with a concentration in Logistics. During the 2017 winter break, Jacob had an internship with Cargo Logistics. This summer, he will intern for John Deere’s supply chain management team where he will be doing cost reduction activities, supplier sourcing activities, developing inventory strategies/actions, working on supplier delivery performance issues and collecting industry data for analysis and sourcing recommendations. After graduation, Jacob plans to enter the workforce and continue to volunteer with numerous organizations to improve the community. 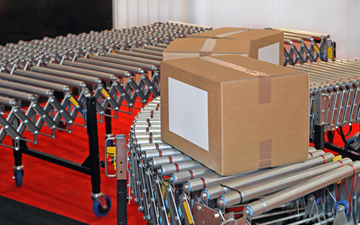 This White Paper provides an overview of the issues involved in manual pushing and pulling, including ergonomics; cart, wheel, and caster design; and important operating environment factors. What are industrial casters and wheels? A caster is a complete wheel and horn assembly which, when attached to a piece of equipment, allows that item to move. Thread Guards prevent thread and material from clogging between the hub of the wheel and the inside of the fork. They remain stationary while the wheel revolves. Grease Seals provide protection for swivel ball races and wheel bearings by keeping lubricant in and dirt out. Swivel Locks are devices to prevent the rotation of the housing rig. Wheel Brakes lock a caster and wheel by exerting hand or pressure on an operating level, forcing a brake shoe or band against the wheel hub or tread surface. Swivel Lock/Wheel Brake eliminates the necessity of separate units for locking the swivel and the wheel. Floor Lock attaches to the undercarriage of a truck to lock it in position. Miscellaneous Accessories steering arms, rybar tubes, rubber bumper guards, shimmy dampeners and other items are available for specific applications. Consult your manufacturer. Tighten loose bolts and nuts and look for broken welds or deck boards. Look for frame distortion due to overloads or impact loads. A distorted frame can cause premature wheel failure because of abnormal loads on one or two casters. If casters are stem type, bolted or riveted in place, make sure the legs of the equipment are not bent and mounting bolts are properly secured. Always use lock nuts or lock washers in mounting casters. Be sure casters with expanding adapters in tubular equipment are held firmly in place. Wheel and swivel bearings last longer if lubricated regularly. Some lube applied to friction points on the wheel hub, washer and leg surfaces of straight roller bearing systems reduces drag and improves reliability. Normal conditions may warrant lubrication every six months, but once a month may be necessary in a corrosive application. Cart washings may necessitate lubrication after each wash. Check for visible points of tread wear. Flat spots may indicate foreign material, such as string, thread, etc., causing wheels to bind. Thread guards will delay build-up of such materials. Loose casters or frozen wheels are other causes of this problem. Replace wheel and/or caster to avoid erratic rolling. After inspecting and making corrections, be sure axle nut is properly tightened. Use lock washers or nuts on all axles. Tighten loose axle immediately to avoid becoming cocked in the caster housing/rig and locking up. Keep replacement wheels and bearings on hand to avoid costly downtime. If swivel assembly is loose, it may need to be replaced. If caster has a king bolt nut, make sure it is securely fastened. If swivel assembly does not turn freely, check raceways for corrosion or dirt. If equipment has rigid casters at one end, make sure caster housing/rig is not bent. It is certainly not true that "any old caster will do". 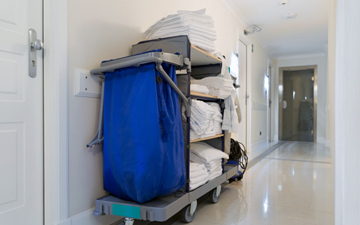 Casters and wheels serve a vital role in industrial mobility, yet are commonly the unsung heroes. Choosing the correct caster for your application can ensure safety, performance and productivity. In this webinar, the Institute of Caster and Wheel Manufacturers (ICWM) will explain why certain manufacturing tests help to ensure your casters are safe and top-notch performers. You will learn the ergonomics of casters and how selecting the right caster can reduce lower back injury and save your company money as injury claims drop. Prepare for future success and register today. Don't know where to start when picking casters for your applications? We can help. 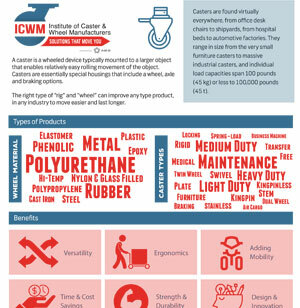 Check out mhi.org/icwm for more information on caster ergonomics and safety.